This week we take a look at VR department stores, Twitter's overhaul, human flypaper and when kids get smartphones. Iconic Australian retailer Myer and online marketplace giant eBay have joined forces to develop the world’s first Virtual Reality (VR) Department Store. More than 12,500 products from Myer can be browsed, selected and added to cart using eBay Sight Search™. 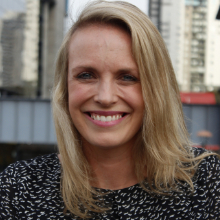 eBay Australia and New Zealand managing director Jooman Park said until now they hadn't had the opportunity to physically experience the transformative effect VR could have on retail. "By building the world’s first VR Department Store here in Australia and observing the reactions of thousands of consumers who trial the experience, we have the opportunity to lead the world into the next phase of retailing," Mr Park said. From this week, eBay and Myer is offering customers the opportunity to receive their own 'shopticals' (specially designed VR viewers) to start their shopping experience, with 15,000 available for free from www.ebay.com.au/VR. A customer tries out the new technology. Photo: Twitter (eBay). Twitter announced this week that it will ease its 140-character limit for tweets, allowing users to add links, attachments and other features without adding to the word count. The moved comes as Twitter attempts to boost its user base and engagement, after trending flat in recent times. So now, you'll no longer have to struggle to compact what you want to say in so little words, after adding an image and tagging a mate. Usernames no longer count towards your character limit when you're replying to a tweet. Photos, GIFs, polls, videos or quoted tweets will not be counted towards the character limit, however, links still do. A first for Twitter, you can now quote and retweet yourself. Another change on the cards is Twitter will scrap the @ convention – so you can just begin a tweet with a username which will be visible to your followers. Twitter said the changes were about letting users get more out of their 140 characters...like...allowing for more space to post GIFs and writing a comment about it! #hilarious! 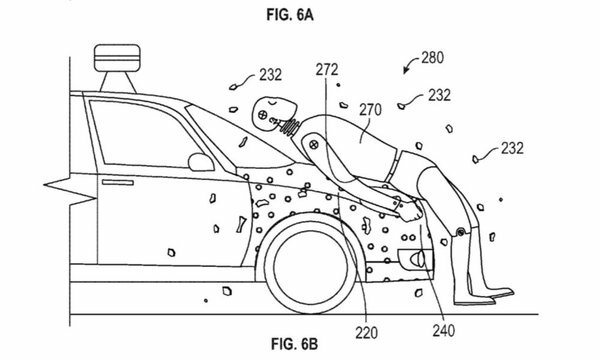 Pioneer of the autonomous vehicle, Google, has patented a blueprint for adhesive on its car bonnets that would fasten pedestrians in the event of a collision. The idea aims to prevent further injury by stopping people from rolling or bouncing off the front of the vehicle, The Age reported. According to Google, the 'human flypaper' technology "will be able to adhere to the pedestrian nearly instantaneously". It sounds like a scene out of Spiderman. And how would a person be able to detach themselves? The patent said it would be "desirable to have the adhesive coating release after a short period of time to allow for the removal of the pedestrian from the vehicle". The plan outlined that adhesive would be concealed beneath an "eggshell-like" layer on the bonnet of the car, which would crumble into small pieces at the point of impact to release the adhesive undercoat. Google is among several tech giants in the race to be the first to deliver autonomous vehicles to the market. An adhesive layer would be revealed on impact. Photo: Twitter (US Patent & Trademark Office). We see it every day – tweens reaching for their smartphones to connect with their friends via text or social media channels. 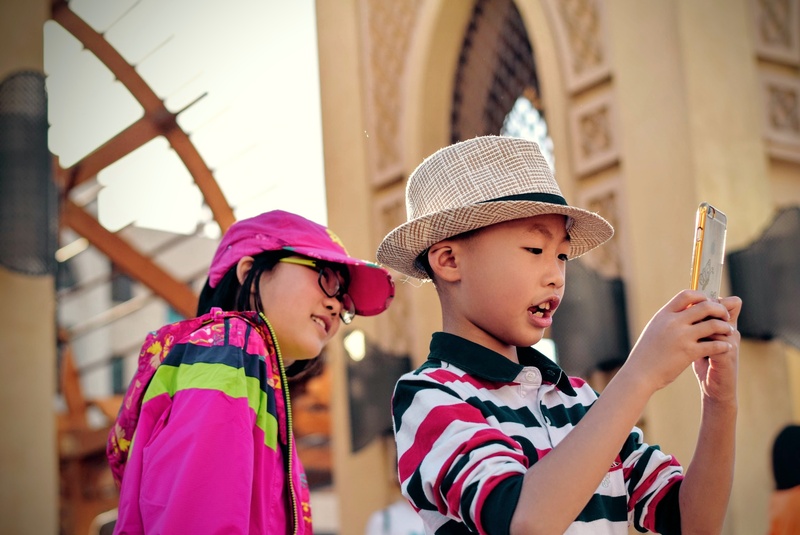 New research revealed that children were being handed their very first smartphone at the average – and tender – age of 10.3. The findings – which make up a bigger, ongoing study involving 500 women in the US – outlined the ways children were using technology, how they gained ownership of their own devices at a younger age and how they increasingly enjoyed more access and privacy while online. Use of tablets have spiked from 26 per cent to 55 per cent as preferred choice of device while riding in the car. Smartphones are slower to take off at 45 per cent – up from 39 per cent in 2012. Sixty-four per cent of children have internet access via their own laptop or tablet, compared to 42 per cent in 2012. Thirty-nine per cent of kids sign up to a social media account at 11.4 years of age. While, 11 per cent set-up an account when they were under 10. The average age for a child being handed their first smartphone was 10.3 years of age. Tweens love to connect. Photo: Time Gouw/Unsplash. Tweens love to connect. Photo: Tim Gouw/Unsplash.Tweens love to connect. Photo: Tim Gouw/Unsplash.Type image caption here (optional)Tweens love to connect. Photo: Tim Gouw/Unsplash (that photo part in italics please) Tweens love to connect. Photo: Tim Gouw/UnsplashTweens love to connect. Photo: Tim Gouw/UnsplashTweens love to connect. Photo: Tim Gouw/UnsplashTweens love to connecTweens love to connect. Photo:Type image caption here (optional)Tweens love to connectTweens love to connectType image caption here (optional)dfdfdTweens love to connect.Tweens love to connect.Tweens love to connect.